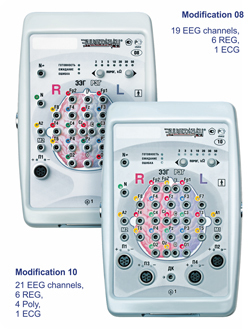 A family of Electroencephalograph-Analysers: with 8, 16, 19 or 24 EEG-inputs (32 digital channels and 2marker channels) plus photo-, video-, audio-, and electric stimulation and patterned video stimulation outputs. 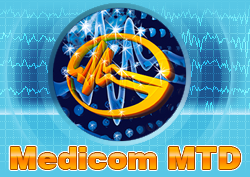 Optionally, up to 6 polygraphical (ECG, SCG, SGR, EMG, EOG, PPG, CHD, RESP, TEMP, etc.) inputs and up to 6 timeshared rheoencephalographical (REG) inputs. 22-bit AD converter, ADSP processor. 0,1–200 µV/mm (13 stages) for polygaphic channels (modification 10). 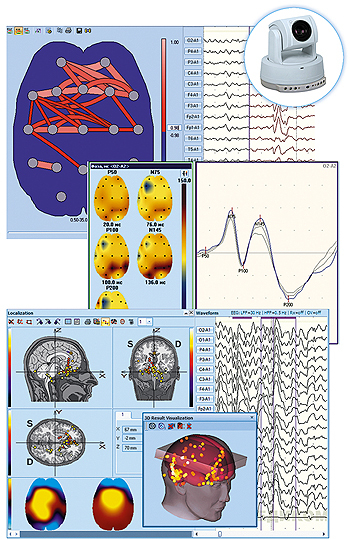 Software "Encephalan-EEGA" and software "REG-studies" provide effective visual analysis and various types of quantitative analysis of electric brain activity and brain blood circulation for valid neurophysiological diagnostics. 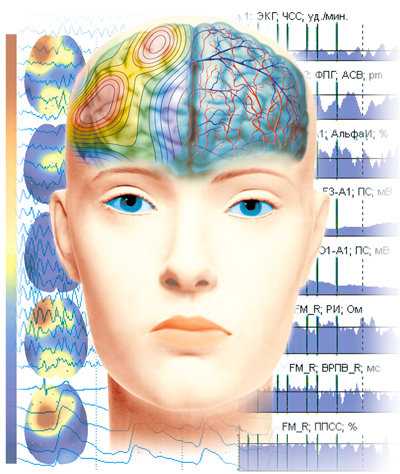 Routine EEG studies with phono-photostimulation and results analysis with various methods of quantitative analysis with topographic mapping. 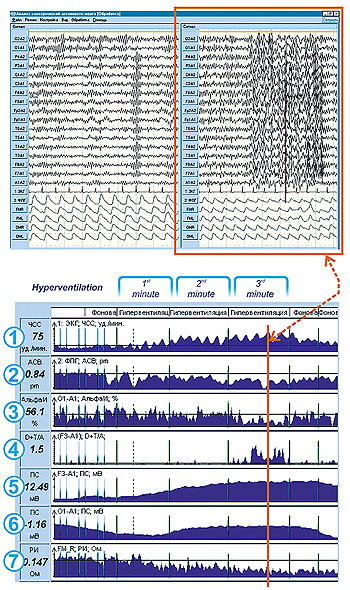 EEG recalculation in different montages, automatic search and suppression of ECG artifacts. Software uses updated ergonomic interface "Ribbon", in which menu elements and buttons are grouped in tabs for their functional purpose. This allows decreasing number of buttons which are simultaneously displayed on screen, and making easier the process of study carrying out. Rheoencephalographic studies REG (brain impedance plethysmography) ("basic" variant). Forming automatic conclusion with description of characteristics of pulse blood filling, peripheral resistance and elastic-tonic vessels characteristics. Editor for forming doctor's conclusion by EEG and REG studies with templates (glossary), saving results in the data­base, preparation of printing documents. 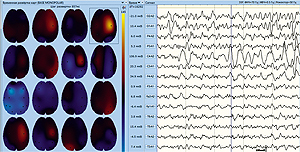 Includes all functional capabilities of the "basic" variant and is supplemented with an option of topographic 2D and 3D mapping of the results of EEG spectral analysis, automatic search of epileptoform activity detection and non-stationary EEG fragments. Split mode (window splitting function) increases the visual analysis capabilities. EEG description is formed automatically and can be edited by a doctor. Analysis of synchronously recorded EEG and REG and evaluation of interconnection between electric brain activity and brain blood circulation (Patent RF 2248745). Automatic forming of EEG description with disorder evaluation by E.A. Zhirmunskaya classification. Additional capabilities of frequency-time analysis of EEG signals (coherence function, autocorrelation analysis, cross-correlation analysis) for linear or topic form of presentation in graphs, topographic maps and tables, and in the form of pseudo-3D graphic of frequency-time analysis results in all derivations. REG-studies ("professional" varinat). Amplitude mapping of rheoencephalographic signals, topographic mapping of main quantitative indices of brain blood circulatio (rheographic index, peripheral vascular resistance index, etc. ), and two-component analysis with detection of arterial and venous components of rheoencephalographic signals. Supplemented with functions for carrying out EEG studies using modern means of electrophysiological data processing, including automatic artifacts suppression (ECG, EMG, EOG). Visual EEG analysis, extra-slow brain activity and other physiological signals by polygraphic channels. Statistical analysis and processing, data export into ASCII, EDF/UDF, MatLab formats, various service options. Change of native physiological parameters in response to provoking (hyperventilation). The left window contains initial background state, the right one – 3rd hyperventilation minute. At hyperventilation, the following can be observed: evident worsening of EEG and REG signals, namely, decrease of brain vessels pulse volume and occurrence of paroxysmal bursts of slow-wave activity on EEG. Effective supplement to analysis of brain circulation and brain electric activity interconnection is a tool of mutual synchronization of native signals and trends of dynamics of calculated parameters change in response to trigger action – highlighted with colour in the pictures. 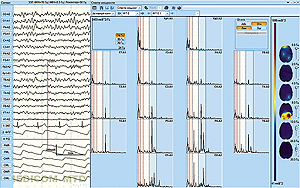 Software is meant for data analysis and trends visualization, which display cardio-cyclic dynamics (averaging from cycle to cycle) of different calculated parameters for cardiovascular, vegetative and central nervous systems in one time scale and provides an option of visual evaluation of their interconnection at synchronous record of 16 EEG derivations, 16 super slow brain activity derivations, 6 REG derivations and signals by 4 polygraphic channels from the list: ECG, EOG, EMG, respiration effort, photoplethysmogram and temperature. Software provides evaluation of physiological changes in response to provoking actions in order to detect weak and compensatory elements in organism's systems and ensures carrying out statistical and spectral analysis, building hypnograms and scattergrams, which display distribution of selected quantitative parameters over set study fragments, and generates automatic protocol with formalized description and table data with initial state and significant changes connected with functional tests carrying out. Change of physiological parameters on trends of cardio-cyclic dynamics in response to provoking actions (hyperventilation). In 30 seconds after hyperventilation (HV) start, the rheographic index REG (7) is significantly decreased, in 3 minutes of HV there are changes on EEG – sharp increase of slow-wave activity (5, 6) with paroxysmal manifestations (4) and sharp decrease of alpha-activity level (3). 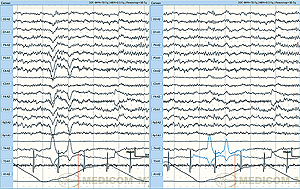 EEG/PSG Videomoitoring kit and software "Encephalan-Video" for completely synchronized continuous digital record of electroencephalogram, audio- and video information, events marks, and for their analysis and archiving for differential epilepsy diagnostics. EP-studies "Encephalan-EP" – studies of long-latency visual and auditory evoked potetials, somatosensory, MMN, CNV, P300,and visual EP for chess pattern. Software "Encephalan-AVS" for EEG and EP studies with audio-visual stimulation uses different scenarios of cognitive stimulation. There is an option of sub-sensory (unconscious) stimuli presentation with marking and response control. 3D localization of electric activity sources "Encephalan-3D" provides display of nominal source of electric activity on three projections of brain cut in the form of spatial dipole cloud, which allows localizing focus of EEG epileptiform activity or EP components source. Analysis of super slow brain activity synchro­nously with EEG recording "Encephalan-SSA" (patent RF 2252692). Trends of super slow potentials dynamics and topographic maps of instant values and reactive changes of DC-potentials' level to functional tests carried out allow evaluating indirectly the cerebral energy exchange and metabolic changes dynamics. Analysis of functional brain asymmetry "Encephalan-FBA" provides visualization of intercentral connections map basing on the calculation of mutual functions (cross-correlation, cross-spectrum, coherence function) in order to diagnose inter- and intracentral interaction during different types of action. Heart rate variability analysis "HRV" for evaluation of VNS and neurohumoral regulation of a patient in initial (background) state and considering vegetative response to provoking actions. Provides the evaluation of adequacy of physical and psycho-emotional stresses, and drugs effect and treatment efficiency control.